With the launch of Sony PlayStation changed, entire gaming industry changed. It transformed the industry with its innovative and unique offerings. It is still considered to be among the best gaming consoles ever released. The PSX and PS1 also boasted about its huge games library. For all the owners of this great console, the gaming experience was something to cherish and to remember. Wouldn’t we give anything to enjoy all those awesome games once again? Well, if you wish for it, then you can certainly do that. With the increasing performance and computing capabilities of smartphones, it is not possible to run all those classic games on your Android devices. These smartphones are smart and powerful enough to run these games via a great piece of software known as PlayStation emulator. There are various such emulators which are available on Google Play Store. With so many options, it may become hard for you to select the best one that fits your requirement. Well, don’t worry about it. Here, in this article, we present you a comprehensive list of top 7 best PlayStation Emulators available for Android which you can use. However, you should note that these are just emulators and they don’t include any games. If you wish, you can easily download various ROMs for the PlayStation One (PS1) or PlayStation X (PSX) games from various websites such as CoolRom. 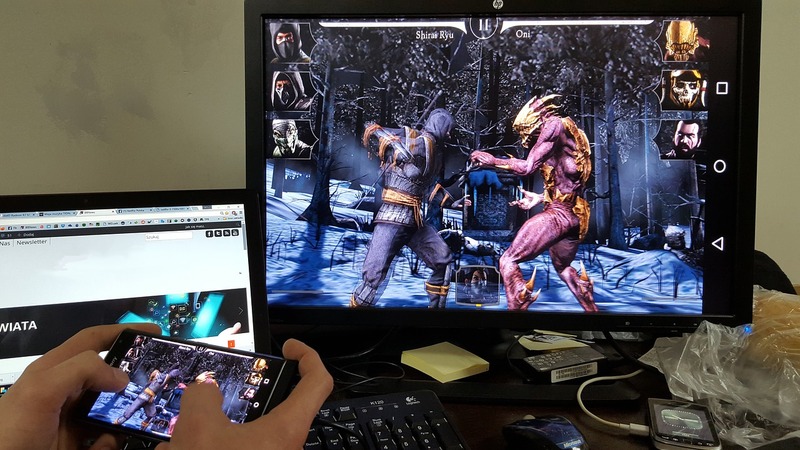 We tried these emulators on our Android devices to see their performance, graphics quality, etc. to create this featured list. So, without further adieu, let’s start with our list. First on our list is one of the best PlayStation emulators present in the market and it is none other than ePSXe. In case you are an avid game player, then you may have heard about it as it remains to be the most popular and successful PS emulator of all time, for PSOne as well as PSX games. It has an impressive high compatibility of nearly 99%. This emulator has been duly ported to run on different Android devices with same added features as well as stability. This app comes with 2 players option along with a split-screen mode. It also has a virtual touchscreen pad. It provides added support for various popular external gamepads such as Wiimote or the Xbox 360 controller. It is priced at $3.75 which makes it the most expensive option. However, it is the easier and most reliable option present out there. Giving tough competition to ePSXe is FPse. When it comes to user-friendliness, ePSXe fails as PlayStation emulator in this aspect. It also has steep learning curve. Same is not the case with FPse. Once you have got hold of how things work, you will certainly see the true capabilities of this emulator. In comparison with ePSXe, Fse is quite capable to play PlayStation games in a higher resolution. It is possible due to the advanced utilization of OpenGL technology. It can also expand the games to also in widescreen resolution. It achieves this even when the games natively support it not. This emulator also provides support for Virtual Reality Glasses like Oculus Rift, Google Cardboard, Gear VR, etc. to name a few. When it comes to pricing, it is near ePSXe. It costs at $3.63 but certainly a great option as an emulator for Android. This emulator boasts about being one of the most popular emulators present in the market all thanks to a plethora of various systems that it can emulate. At present, this emulator provides support in emulating PlayStation One, PlayStation X, along with Nintendo64 and few GameBoys and much more. It has 8 swipe directions which can be detected on each screen side, and each one can easily be mapped to one particular key of the game. Along with gestures controller, this PS emulator also supports accelerometer sensor in order to control different movements of the character. This allows the user to play various games using one-handed operation. This emulator also provides support for external controllers. This feature allows up to 4 players to connect to the device. This PlayStation emulator is available free of cost on the Google Play Store. However, it does have in-app purchases. When we talk about the most promising emulators for PSOne and PSX, RetroArch has certainly made its mark. It is an open-source emulator which is based on Libretro interface. This interface allows the app to utilize rich features like cross-platform camera support, OpenGL, location support, to name a few. It is a highly reliable emulator for Android. It has easy to use and brilliant user interface. It also comes with promising ability to remap all the controls and also make use of different cheat codes too. One of the unique feature of this emulator is that it has multi-language support too. It is a multi-platform emulator which requires you to download “Cores” in order to run game or ROM for a particular console. Another key advantage of this emulator is that is being constantly updated. This emulator is available for free on the Play Store. This multi-platform emulator is primarily made for the emulation of PSOne and PSX. It is also among the most powerful emulators present in the market. Even though this PlayStation emulator is available free of cost, it is still quite reliable. This app provides support to a lot of emulator features. Even though this emulator runs great, the free version does have the issue of extensive advertisements. However, you are provided with a choice to remove the ads by simply making an in-game purchase of its pro version. But if you are ready to pay for an emulator, then we suggest that you either go for ePSXe or the FPse emulators. In case you can handle the ads, this PS emulator is quite stable and performs well. This emulator for Android is free of cost along with in-app purchases which you can make to remove ads. Although Emubox is not so popular emulator but still it is quite powerful on for retro console emulators. It is multi-console emulator which support emulating for NDS, GBA, SNES, PSX, PS1, GBC and much more. In terms of appearance, it is certainly the best one as it has a great looking material design user interface. In case of most emulators, they only feature a couple of save slots, but EmuBox provides 20 save slots for individual ROM. This PlayStation emulator also provides support to easy screenshot capture. It also supports fast forwarding the game speed. You can easily change the emulator settings to optimize the performance of the game on your Android device. This makes it capable to run games on older Android devices. One of the most attractive feature of this emulator is that it is free of cost. Now, we wrap up our list with the highly controversial emulator, the Xebra. You need not turn down this emulator due to a number of downvotes it has received on its application’s page. The reason is that it has confusing UI. Its UI doesn’t come with any instructions within the app. However, it does have an instructional video made available by the app’s developer. After going through it, you will certainly realize how powerful this emulator actually is. Compared to other emulators, it produces the best graphics, and its controller layout is way better and highly responsive. However, the user has to put in some efforts to set up things, but once the user has done it, Xebra is a worthy PS emulator against all other emulators. This emulator is also available for free. In the past, the games didn’t have great graphics, but they were certainly entertaining. A PlayStation Emulator can bring back your old memories especially if you play those old games again. These emulators have tons of feature that allows you to play old games. They offer great graphics and are quite compatible with most of the gaming consoles. Some of them are available for free while for some, you have to shell out a small amount of money. With all these options, you can certainly pick the one which suits your requirement and expectations. Our list of emulators will certainly provide you the satisfaction of playing these brilliant games. Using these emulators, you can certainly enjoy retro games without any hassles and live up your past experiences. So, try these emulators and let us know which one suited you the best. Mention your views and experiences in the comments section below.